Salon.com posted an interesting review about Marcus Mabry’s new book, Twice As Good: Condoleezza Rice and Her Path to Power. It’s an insightful analysis of how Mabry might have come to write such an unflatering biography of Rice. As far as Rice is concerned, there is just one problem with Mabry. He is not only sophisticated and sympathetic but fair-minded and highly scrupulous about the truth. Unfortunately, truthfulness and fairness are not flattering to his subject. According to [Mabry’s] research, every boss or mentor throughout her career has been certain that Condi agreed with him, despite the broad range of politics and ideologies that they represent. This remarkable conformity amazed Mabry, who also learned that many of those same bosses and mentors today wonder whether her professed views were ever sincere or always merely convenient. I started reading The Mighty and The Almighty by Madeleine Albright the other night. I’m about 75 pages into it so far, and I’d say that it is pretty interesting. Basically, the book is about politics and religion and how the two intersect. Although I don’t always agree with Albright’s opinions, I think she is generally pretty insightful. Unused to failure, American leaders were unable to fathom how this tiny…country could withstand the power they had unleashed against it. They misread the local culture; placed too much faith in corrupt, unpopular surrogates; and adopted a military strategy of gradual escalation that deepened our country’s involvement without making a decisive difference on the battlefield. Quick, what’s the context of this? What war is she speaking of? If I read this passage out of context, I would immediately assume that she was talking about Iraq. In fact, she is actually talking about Vietnam.1 I thought it was remarkable how similar the situations are, based upon these two (long) sentences. So remarkable, that while I was reading the passage, fully understanding that the subject was Vietnam, I stopped and thought to myself, Hey, that sounds just like Iraq. Politicians today can talk all the want about how Iraq is nothing like Vietnam. And, no, I don’t think that they are exactly the same, but there are some striking similarities. 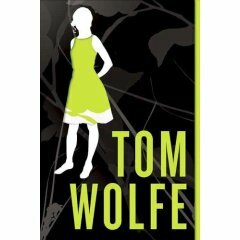 I’ve been reading I am Charlotte Simmons by Tom Wolfe for the past week or two. So far, it’s been decent, despite the level of criticism it has received from the press. As I was reading it last night though, I was astounded by one of those tiny little misplaced details. He mentioned that a bunch of basketball players were playing their Playstation 3. Now, I understand that a lot of people wouldn’t think twice about this. But I’m a gamer. I know that the Playstation 3 hasn’t even been released yet. In fact, they haven’t even announced a release date for it yet, other than a fuzzy November 2006. What makes it worse is that the book has a copyright of 2004. I can’t believe nobody caught this before it went to print. Kind of a glaring mistake (especially since Tom Wolfe supposedly did so much research on the college lifestyle). Video games are a very important part of youth culture. This is a pretty big mistake in my opinion. Almost made me want to quit reading the stupid book.